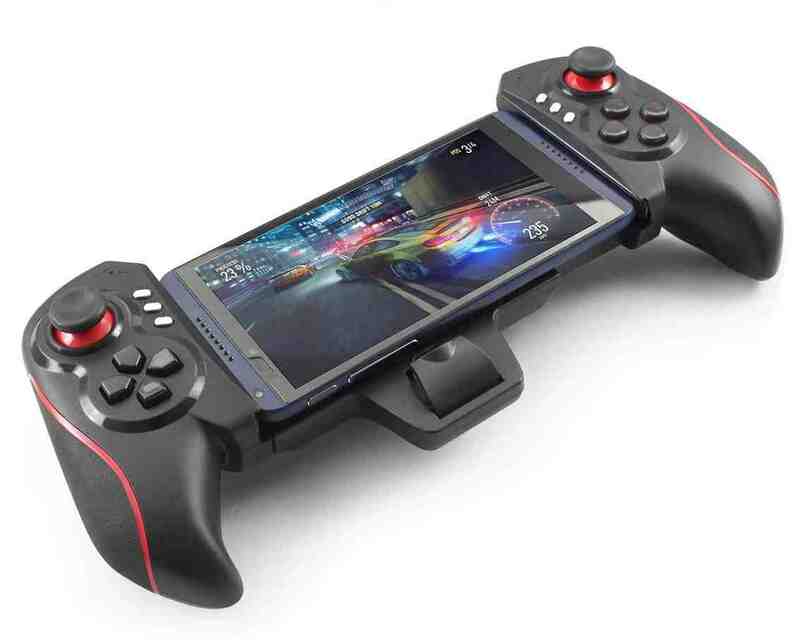 Say an android gaming smart phone today, and most people will begin thinking of phones like the Razer phone, the ZTE Nubia Red Magic, and the Xiaomi Black Shark, simply because those phones were strictly marketed as being high performance android gaming smart phones. But referring to a phone as a high performance gaming smart phone has a lot more to it than just being marketed as one.. And that is the reason why today, we bring you a comprehensive list of our top ten best android gaming smart phones that you can get your hands on this year. Speaking of high end and high performance gaming smart phones, the first phone that should come to everyone's mind is the Samsung Galaxy S9 and S9 Plus devices, even when they were not strictly marketed as one. Reason is that the reasons are so many, and we are going to point them out and discuss about them, one after the other. 1. First is that this phone ships with the latest Snapdragon 845 Processor, coupled with 4GBs of RAM for the S9, and 6GBs for the plus variant. Now because these things are running on the SD845 chipset, it simply translates to it making use of the latest Adreno 630 GPU chipsets, which simply means there's no game you will throw at it, that it can't handle even without squinting. Now don't get me wrong, there are also other smart phones out there that ships with this same SD845 chipset and the same exact Adreno 630 GPU chipset, but the Galaxy S9(s) just does the job better. 2. These devices ships with the best display you can get on a smart phone as of now. A Super Amoled display coupled with a QHD+ (Quad HD+) 1440 × 2960pixels resolution is just enough for any graphics intensive game.. Colours are really punchy, crispy, and clear, and even if you don't like the default screen settings and mode of color saturation, you can either tune it down, or tune it up to your taste. 3. Now this is one aspect where most devices out there that pride themselves as high performance gaming smart phones tend to lose me. And what is it? The lack of a Micro SD card expansion space. 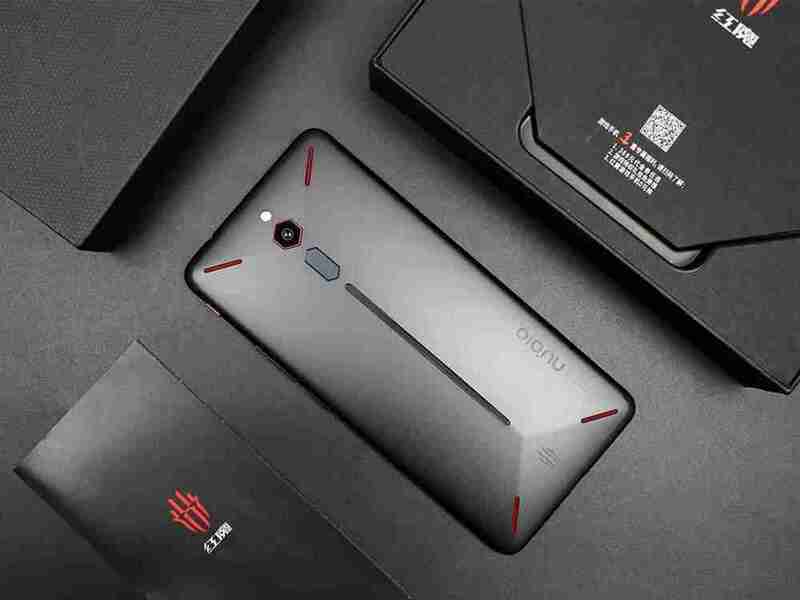 Phones like the Xiaomi Black Shark mentioned above and the ZTE Nubia Red Magic have it in common, they lack the option for expanding storage with the use of an external micro SD card. For God's sake you called it a gaming smart phone, and as we all know it, games require a lot of storage space, even when being downloaded and while playing it. So why should one produce a gaming smart phone and remove the option for storage expansion, all because you offered me a 128GB of inbuilt storage. To cut the long story short, the Samsung Galaxy S9 and S9 Plus devices comes in three storage variants, it is either you go for the 64GB inbuilt storage variant, or you go for the much higher 128GB variant, or you can as well go a way more higher for the 256GB version. And guess what, all these variants all come with options for storage expansion using a micro SD card for up to 400GBs of additional more storage.. now that's what i call a gaming smart phone. 4. 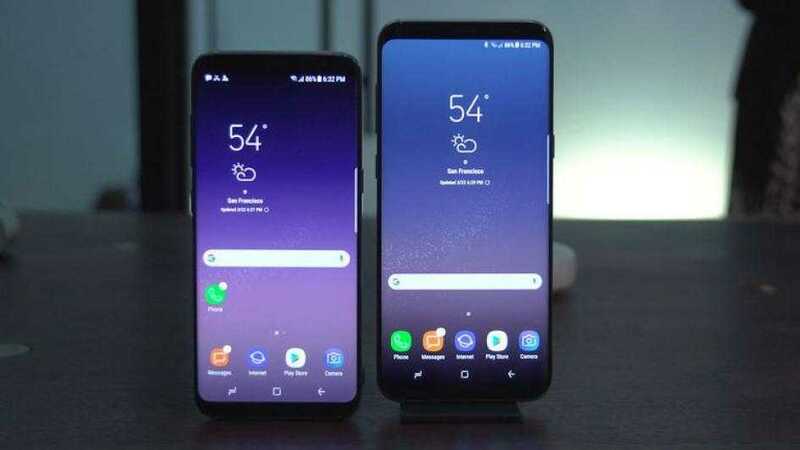 Now once again, the Samsung Galaxy S9 and S9 Plus despite not being marketed as strictly for gaming, but they both come with a high performance gaming mode, that when switched on, will silent all active and incoming notifications to your phone, it also prevents incoming notifications too from showing up on the screen to interrupt your gaming session. Then it also has a game booster option that allocates more RAM and CPU power to the games you play, and some other nifty useful features..
5. 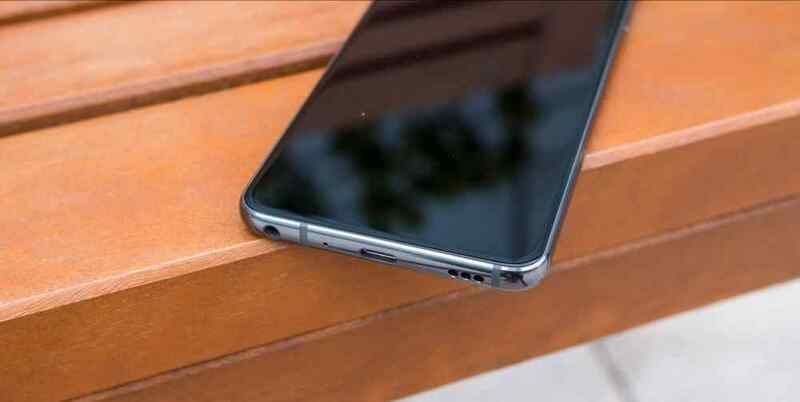 Other features of the Samsung Galaxy S9 and S9 Plus devices that makes mobile gaming more interesting are things like the presence of two powerful dual stereo speakers tuned by AKG, coupled with Dolby Atmos Sound Enhancement, then also included is the iconic 3.5mm earphones port. So you see? you can never go wrong with these phones. But the only downsides i see with these phones is on the batteries. 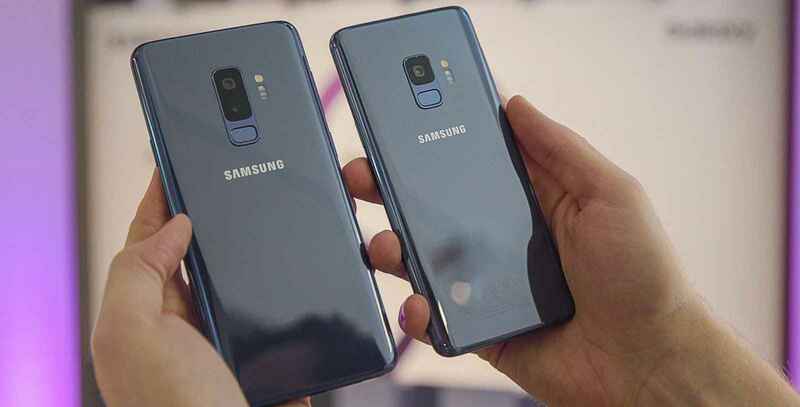 In case you don't know, the Samsung Galaxy S9 and S9 Plus smart phones both ship with a 3000mAh power battery and a 3500mAh power battery respectively, which personally i think at least a 4000mAh power battery wouldn't have been a bad idea after all. Now even though i was speaking up there like i was strictly against phones that were strictly marketed as high end high performance gaming smart phones, the Razer Phone still managed to stand out among the rest and made it to the position No.2 on our list. So for those who don't know yet, the Razer Phone was a last year's device, which simply means that it shipped with the former Snapdragon 835 processor, of which there's really no much significant difference between it and this year's Snapdragon 845 chipset. But it isn't really the processor that we are here to debate about today. Now what really brought this phone to the top of our list this high, was for the fact that it has a Micro SD card storage expansion space. Even though this device only ships with a standard 64GBs of inbuilt storage, it can as well be upgraded to a whooping 400GBs of additional storage with a micro SD Card just like the Samsung Galaxy S9 we just finished discussing above, so that's a good one for the Razer. Other amazing features of the Razer smart phone includes a daring 8GBs of RAM, a powerful 5.7 QHD display with a rugged 120Hz refresh rate, but with a slightly lower resolution of 1440 × 2560pixels that doesn't make a difference when compared to that of the galaxy S9(s), and also with an IPS LCD display panel, which i personally and many people too consider to be inferior to the Super Amoled panels. But what it couldn't do in displays, it made up in batteries, for sure this device ships with a concrete 4000mAh power battery which should be just enough for those long non stop hours of gaming, and even when it eventually drops dead, the device comes with Qualcomm Quick feature that should get you on the go again in no time. And don't forget too about the power dual stereo front facing speakers that makes gameplay very dramatic and immersive, you might even end up forgetting about the world around you. Now this is another smart phone that was strictly marketed as a high end high performance gaming smart, wouldn't have been at the top of the list, save for some of its unique features like it's dedicated one sided gaming pad that takes gaming on this phone to whole new level, it let's movement and character control more intuitive, easy and realistic, like you are doing it on a dedicated gaming console. Games like the latest PUBG Mobile should run smoothly here without a single glitch. 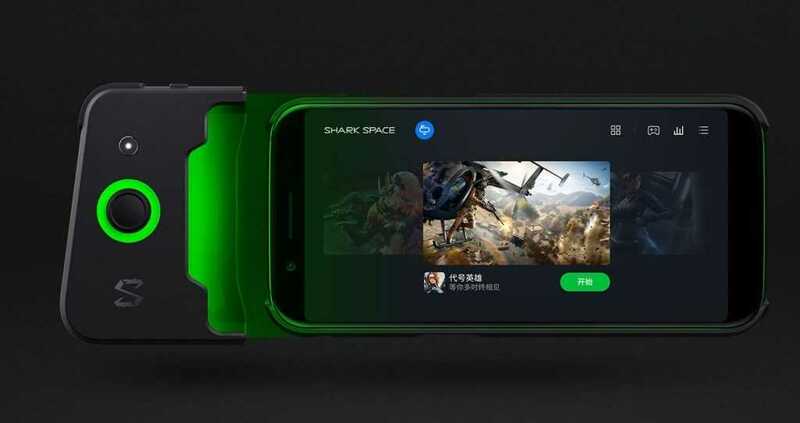 It also has a dedicated gaming mode just like on the previously discussed Samsung smart phones, but in this case, it is called "The Shark Space". It does basically the same thing the Samsung's gaming mode does, disables all interrupting notifications while gameplay is going on, puts the 8GB RAM and Snapdragon 845 chipset to full use, and many other cool stuffs like that. 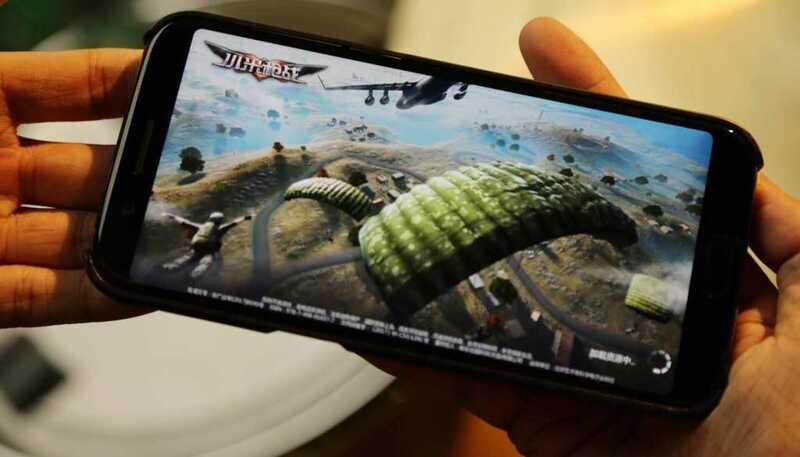 And not to forget, this gaming smart phone also comes equipped with a big 4000mAh power battery that keeps you on the go for long hours of gameplay, Qualcomm Quick Charge is also included. Other specs includes a 5.99 inch FHD+ (Full HD+) display, using an IPS LCD panel. The phone itself comes in two variations either you're getting the 128GB inbuilt storage variant with 8GBs of RAM, or you get yourself the slightly lower 64GB inbuilt storage + 6GBs of RAM variant, and they don't have option for storage expansion.. so you are stuck with just what you're given or should i say what you got. Coming in with a big 6.0 inch FHD+ LCD display, is the all powerful ZTE Nubia Red Magic. A 2017 device actually, so it flaunts the Snapdragon 835 processor, coupled with a 128GB of inbuilt non-expandable storage, and backed up with a massive 8GBs of RAM, it simply means you can never have a bad day with this device. It comes with a DTS HD Surround Sound speakers to keep things immersive especially when gaming with your headphones on, and the only place where this device tends to lag behind when compared with other smart phones of its range, is on the batteries. When phones like the Razer Phone and the Xiaomi Black Shark flaunts around on a 4000mAh power battery, this one chooses to follow closely behind with a slightly lower and not really noticeable in performance 3800mAh power battery.. Though the non-expandable storage might be a turn-off for most persons like me, but it is still a very good gaming device, at least for the price. 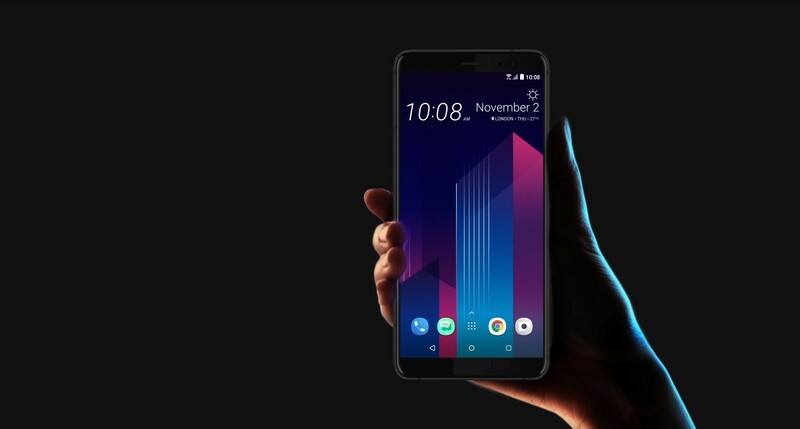 Even though this phone is not out yet, it still promises a lot of RAM, processing power and Dirac HD surround sound which is simply adequate even for the most hardware and graphics demanding games out there. 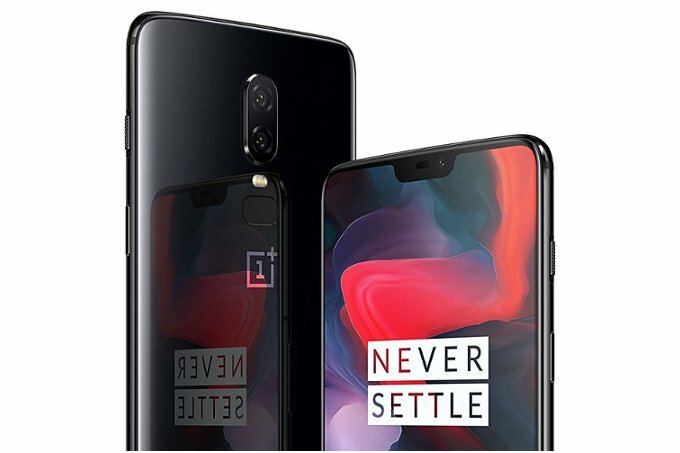 So in case you don't know, with the upcoming and soon to launch OnePlus 6 smart phone, we'll be seeing a device with with 8GBs of RAM, running on the latest Qualcomm Snapdragon 845 processor, and to make all that interesting, it is coming with an ample storage of 256GBs which we can't tell for now if it is expandable or not, but we just hope it does, and a 3450mAh power battery. So you can read all you need to know about the OnePlus 6 smart phone below. Read Also - All Latest Rumors Of The OnePlus 6 Smart, Brought To One Place. 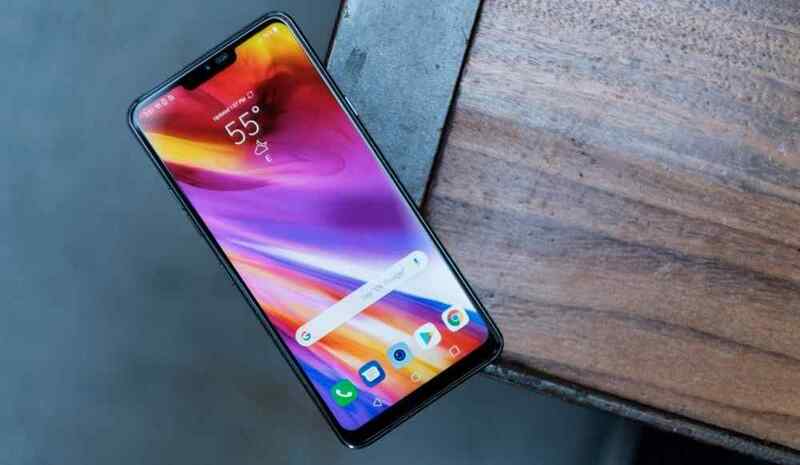 So in order not to say much, the Asus Zenfone 5Z smart phone was unveiled not quite a long time ago, and after taking our time to rigorously scrutinize this device, we found out that this is another device that we can comfortably refer to as a perfect gaming device. Specs wise, it follows the latest trend for 2018, a Qualcomm Snapdragon 845 processor, comes in a 6.2 inch FHD+ resolution with a notch at the display, it gives you a very wide variety of storage options. There is the biggest 256GB inbuilt + 8GBs RAM version, then coming in second place is the 128GB inbuilt + 6GBs RAM option, and last is the 64GB + 4GBs RAM version, all comes with expandable storage for up to 400GBs of extra storage.. so whichever one you choose, you will never go wrong. 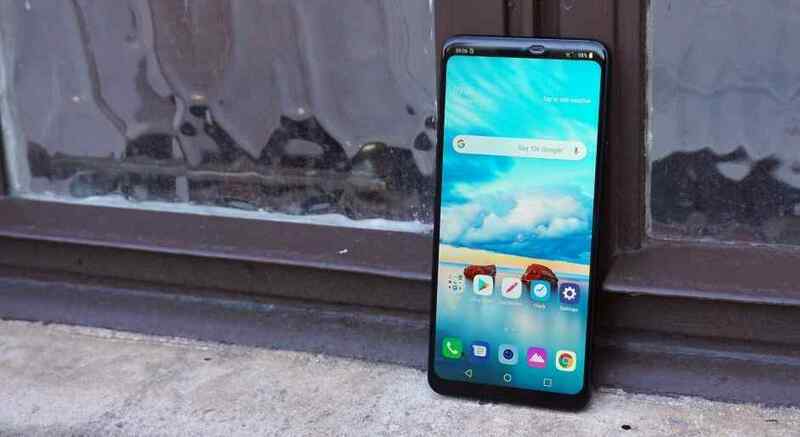 The LG G7 ThinQ is the latest addition to the LG G series smart phones, and it has done well to prove itself as a very high performance gaming device. Coming in with a 6.1 inch LCD screen that can get very bright up to 1000nits, it simply means even gaming in direct sunlight is possible, if only it wasn't crazy. So all specs remain the same as to other recent flagship phones released in 2018 the processors, snapdragon 845, you get either 6GBs or 4GBs of RAM with 128GB or 64GB inbuilt respectively which are both expandable with a micro SD card for up to 400GBs. And don't forget about the BoomBox speakers that uses any surface it is placed on as a sound amplify.. Believe me, those things are really loud. To know more about the LG G7 ThinQ, please follow the link below. So once again, we still have another last year's phone that still managed to top our list as a high end gaming smart phone. 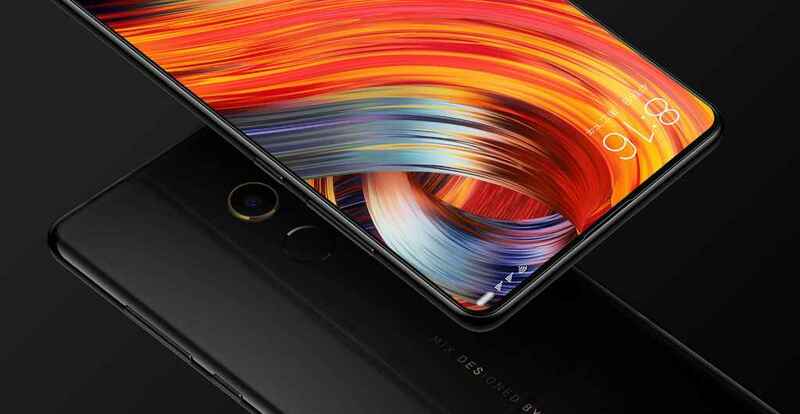 Reason was because of its large expandable storage, (it seems i have a thing for phones with expandable storage these days), the stereo speakers that gives you more realistic sound effects while gaming, and its large battery of 3930mAh power. 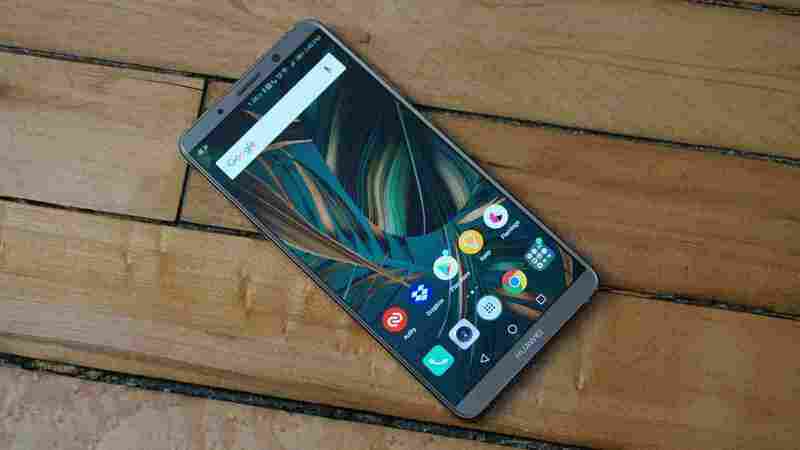 The phone runs on last year's Snapdragon 835 processor, with an Adreno 540 GPU, so games should run as smoothly as you'd imagined. Then lastly, coming in with a 6.0 inch Super LCD6 screen with a QHD resolution, the display should be large and colorful enough to accommodate any kind of gaming environment and graphics. So the HTC U11+ is not a bad phone afterall. So Huawei decided to top our list at the No.9 spot, not a bad position after all if only that the competition has not been so tight. So its a pretty good gaming device. Ships with the current Huawei's in-house built Hisilicon Kirin 970 processor , coupled with a Mali G72 MP12 Graphics processor to keep things like high graphics demanding games on the run without the phone stuttering. And don't also forget about the 6.0 Amoled display with a FHD+ resolution, and i guess you already know what that means right..? Crispy clear display, with deeply saturated colors and very deep blacks. So you are always a step ahead of others.. And don't forget about the Big 4000mAh power battery too. 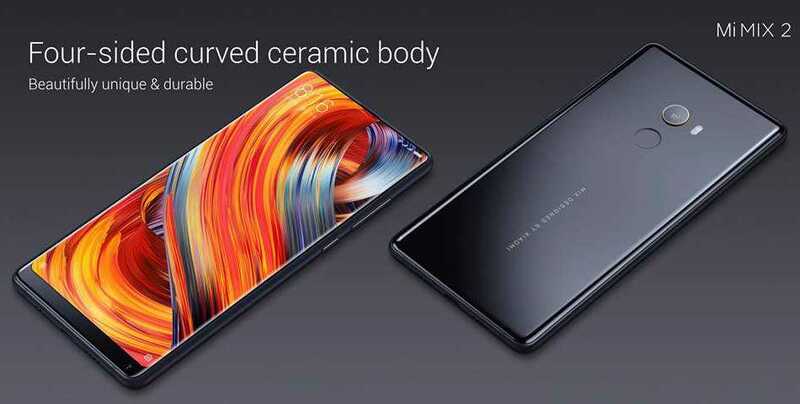 Pheew... what a long list, and finally we are at the number 10th position with the all new Xiaomi Mi Mix 2S. Now there are quite a handful of features and specs that makes this phone the perfect gaming device for anyone and everyone..
First is that this device is approximately 99% all screen..(see the photo above), now imagine what it would look like when gaming on a 5.99 inch up to down screen device, with no bezels or whatsoever to distract you, the experience is simply immersive. Second is that it ships with a mind shattering 8GBs of RAM combined with a huge 256GB of inbuilt storage that is not expandable... The gaming experience is simply unmatched. So folks, these are our top ten best gaming android smart phones that you can literally get your hands on at the moment. And we promise to keep updating the list immediately we are able to see more smart phones that are worthy of being on the list.. So make sure to subscribe to our newsletter to get notified of our updates, and don't forget to tell us which phone you liked best in the comments section below.. Bye.. and see you on the next one.